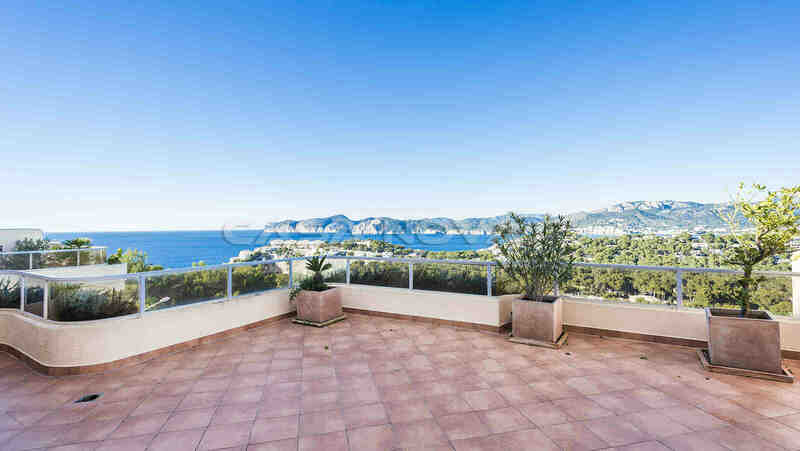 Mallorca properties: This large apartment with "king view" lies in Santa Ponsa, in the southwest of Mallorca in the municipality Calvia. 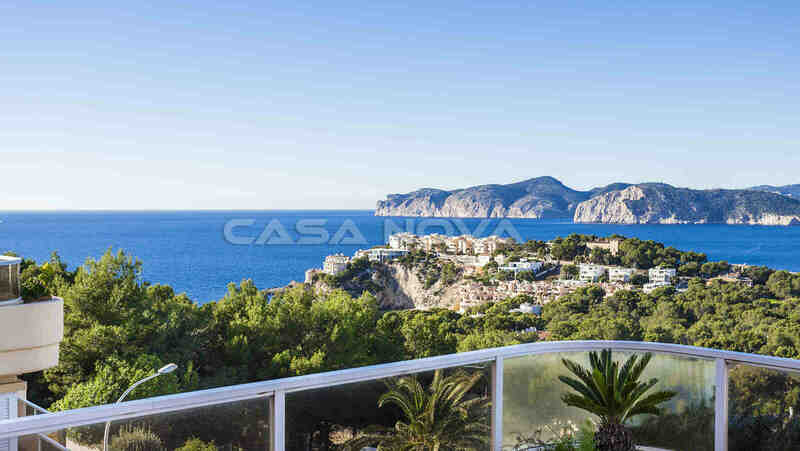 This panoramic sea view apartment is located in a very popular residence in Nova Santa Ponsa. It has a living space of approx. 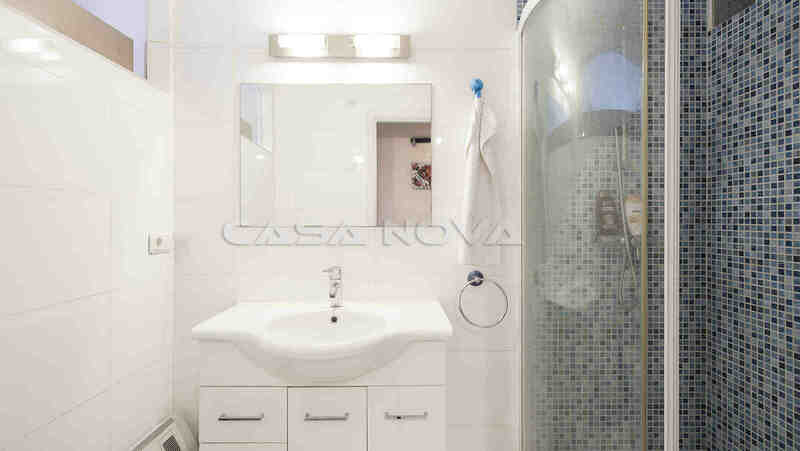 96 m2 plus 64 m2 open terrace area. 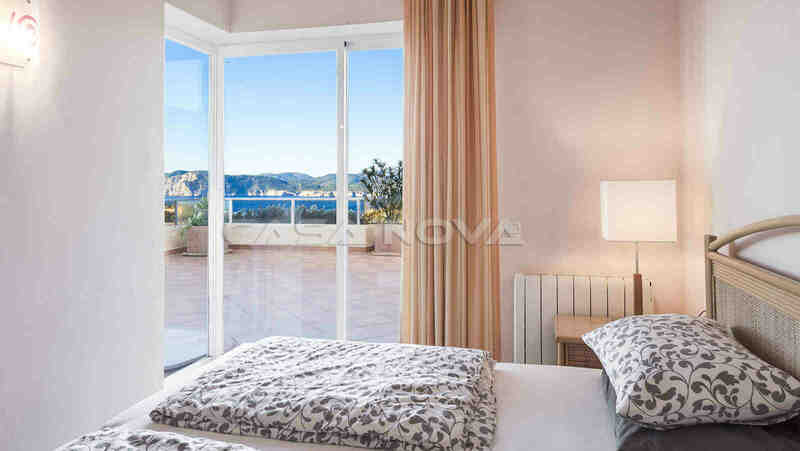 The unique Mallorca property is divided into 2 bedrooms, 2 bathrooms, a bright living/dining room, an open fully equipped fitted kitchen with utility room and storage room. 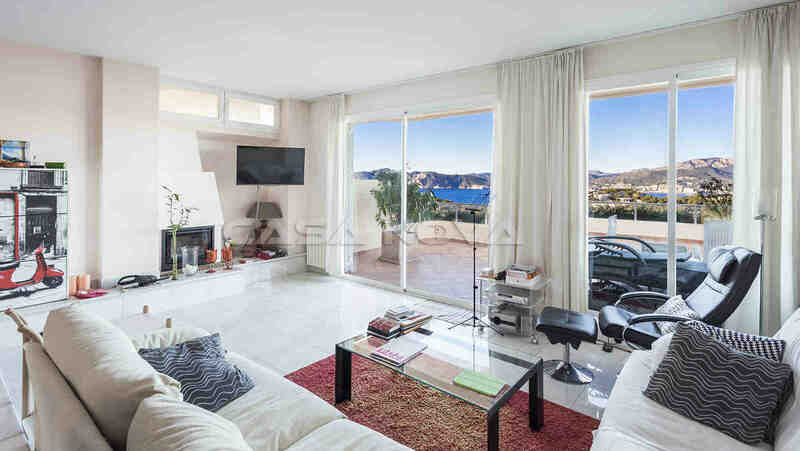 Enjoy spectacular sea views of Santa Ponsa Bay from the living room and large main terrace. 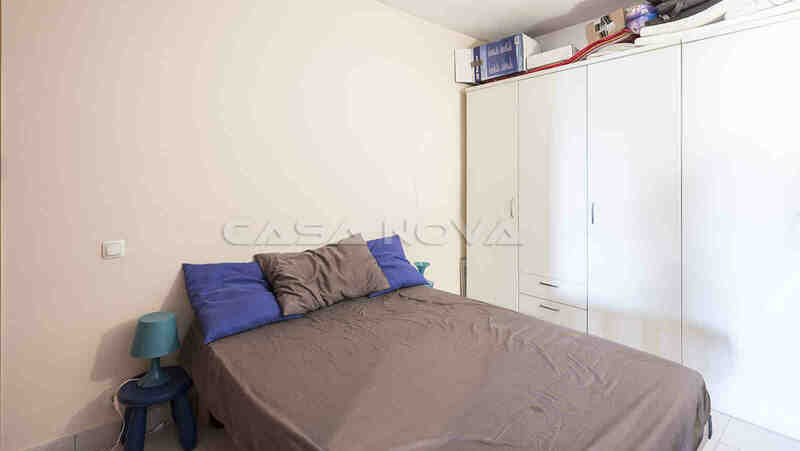 The property has been very well maintained, renovated and decorated. 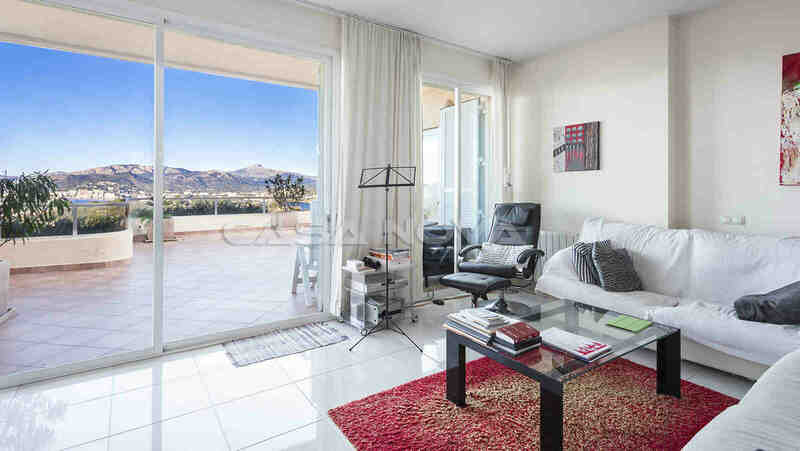 Features in this Mallorca Apartment are: Aluminium blinds, double glazed PVC windows, air conditioning hot/cold, electric heating, fireplace, built-in wardrobes and tiled floor. 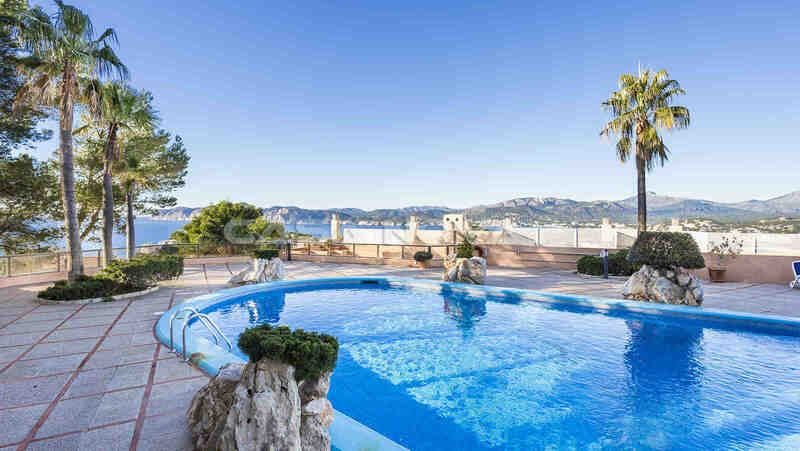 In the popular residential complex there is a large community pool and sun terraces. The apartment is sold furnished and has 2 carport parking spaces. 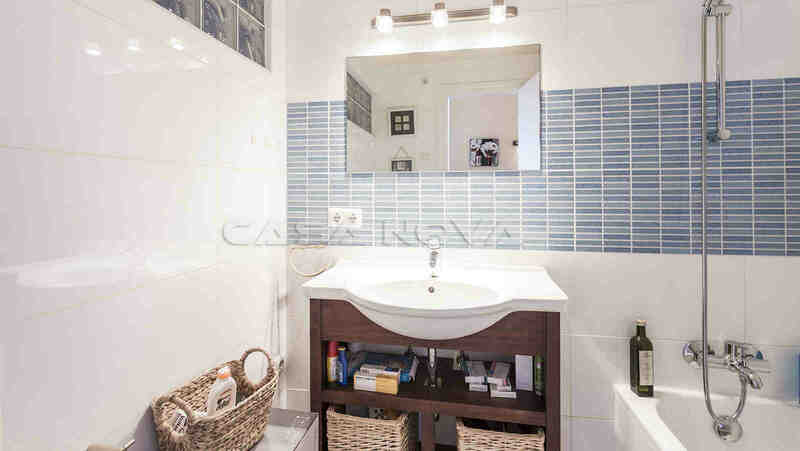 This unique Mallorca Apartment is located on the famous local hill of Nova Santa Ponsa, the most popular residential area in the southwest of the island. 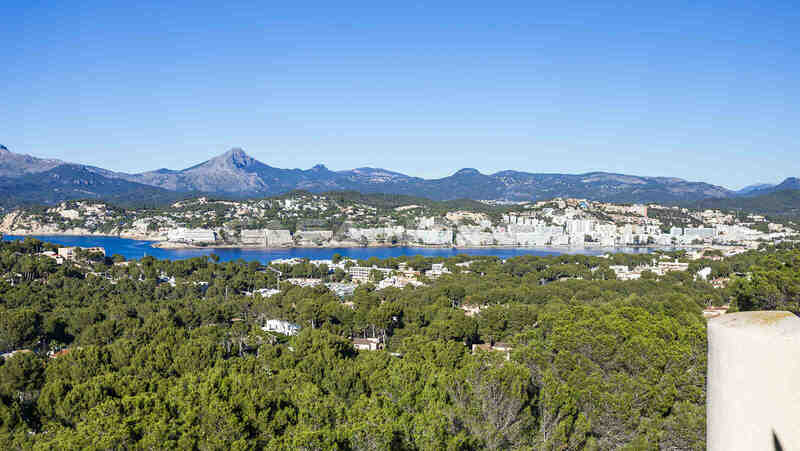 In a few minutes by car you reach the centre of Santa Ponsa with many shops, international bars and restaurants. 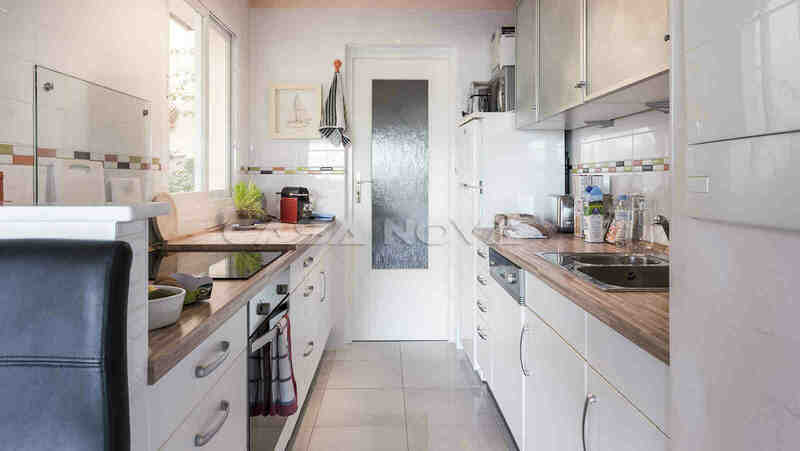 Various sandy beaches, golf courses and marinas are nearby. 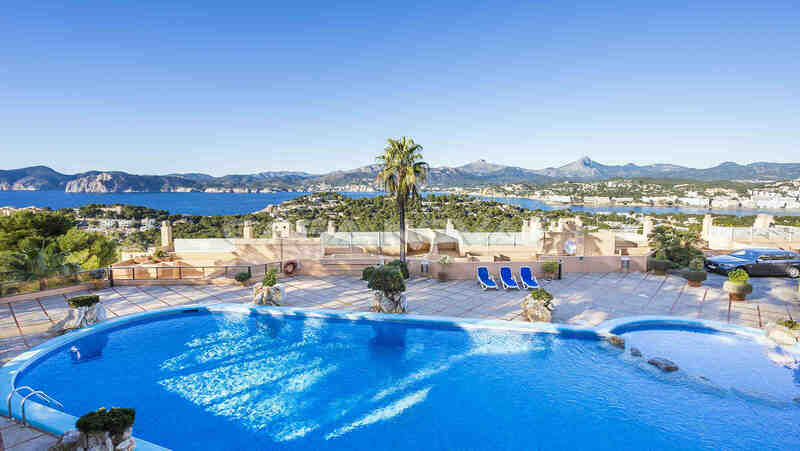 The capital Palma de Mallorca can be reached in about 20 minutes by car. The international airport connects you all year round with all major European cities and is only about 25 minutes away. 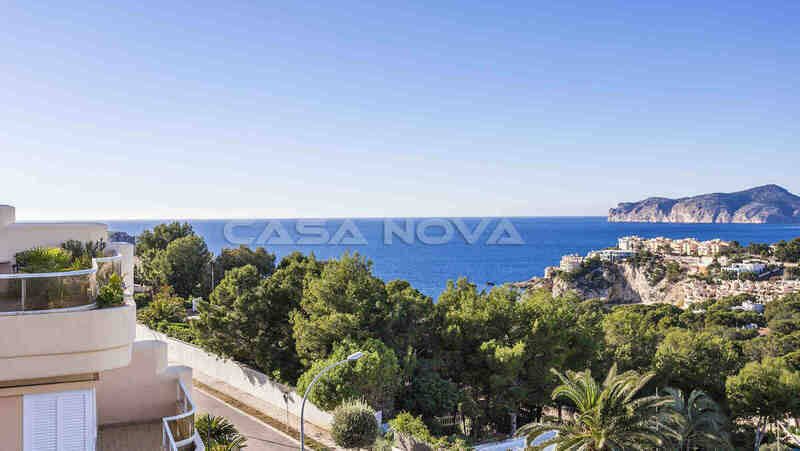 This sea view apartment is presented to you by your real estate agent in Mallorca, Casa Nova Properties Santa Ponsa. There is no commission for the buyer.